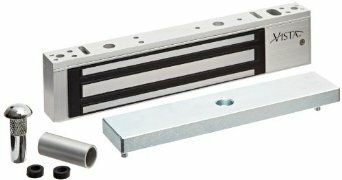 Mortise Cylinder -These are most commonly found in mortise locksets Mortise cylinders screw into the mortise lockset and are held in place by a setscrew, preventing unauthorized removal. 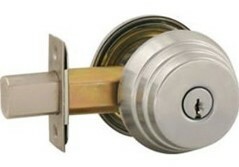 doors to lock them together, as a regular deadbolt does not have a hook to accomplish this functionality. 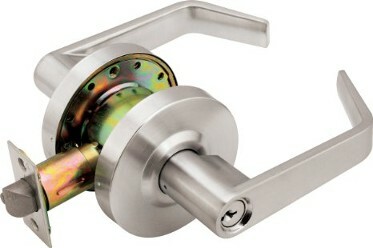 These locks can also be found in swinging aluminum doors. 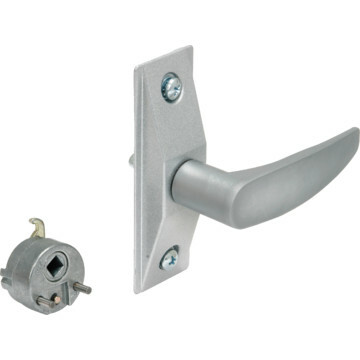 Adams Rite Deadbolt – This is one of the three most common mortise locks found in an aluminum door. 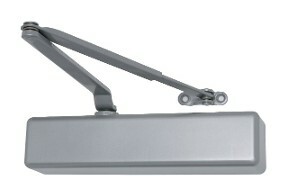 Similiar functionally to a hookbolt, the only difference is the lack of the cutout in the bolt. Used exclusively in swinging doors. 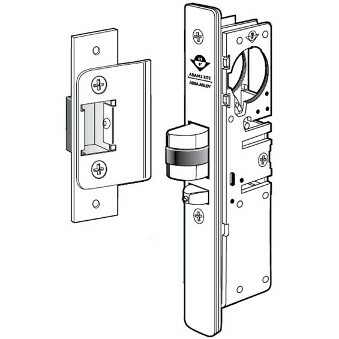 Adams Rite Deadlatch – This is one of the three most common mortise locks found in an aluminum door. 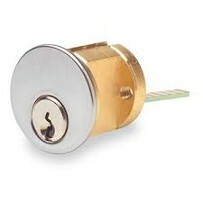 Commonly used in conjunction with an electric strike (referred to as a ‘buzzer lock/system’ by lay people), this locks every time the door is closed. 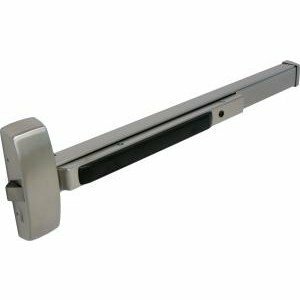 Adams Rite Lever Handle – Used in conjunction with an Adams Rite Deadlatch, this is what is installed on the inside of the door and is used to retract the latch and push or pull the door open. handle and generally speaking lasts longer. 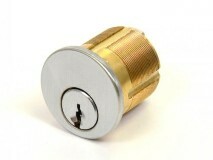 with mortise locks, leversets, knobsets, panic devices and Adams Rite Deadlatches. locked when power is applied. In the event of a power outage, the mag lock will not keep the door locked. 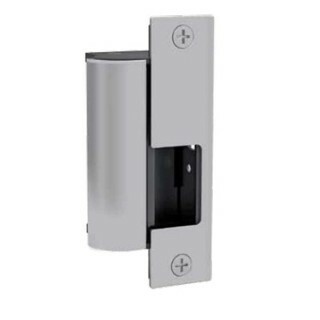 Also, many municipalities, cities and states, have specific rules and regulations regarding the use of mag locks under specific circumstances. 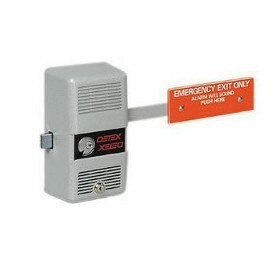 Electrified Exit Device Trim – Used in conjunction with an exit/panic device, this allows remote unlocking (or via access control) of the device from the outside of the door. 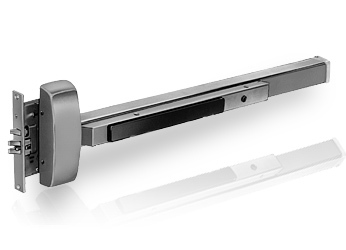 Door Closer – Available in a variety of finishes, strengths, sizes and styles, door closers are used to ensure the closure of a door. The speed at which the door closes can be adjusted. 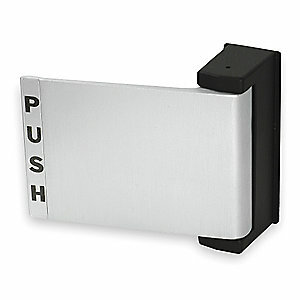 prevention of theft, these devices are applied to doors that are not opened on a regular basis. 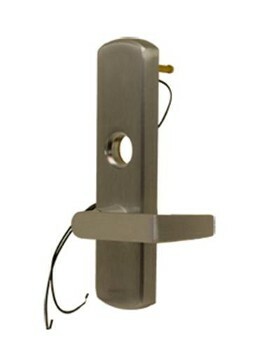 Rim Mount Exit Device – This exit device is used in a single door application. strike installed on the saddle or floor. 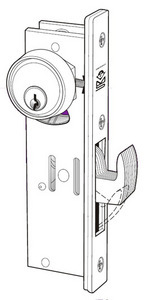 Deadbolt – When locked, the bolt is unable to be pried or pushed back (with items like a credit card or screwdriver), hence the name ‘Deadbolt’. 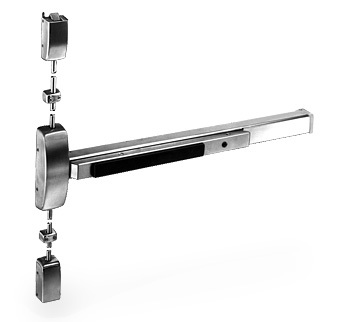 These are usually found on doors that also have a knob, lever, handleset or mortise lockset.